We all know that October is the month for Breast cancer awareness . It's the month for all of us to take some time out of our lives and think about the issue , Breast Cancer which is the second deadliest cause of death for women. Over the past few years, the number of women dying of breast cancer has risen. My heart really goes out thinking that something that can be prevented is actually becoming a cause of death. Women always take care is the family, the house and is always multitasking but always keeps her health as least most important thing. Glamulet has taken up the responsibility and gave it an interesting twist. They mixed our love for jeweley with breast cancer awareness called Breast Cancer Pink October Campaign . Glamulet if you don't know is a charms bracelet online shop that makes beautiful stealing silver bracelets and bangle bracelets that you can customise by picking and choosing the charms you like. 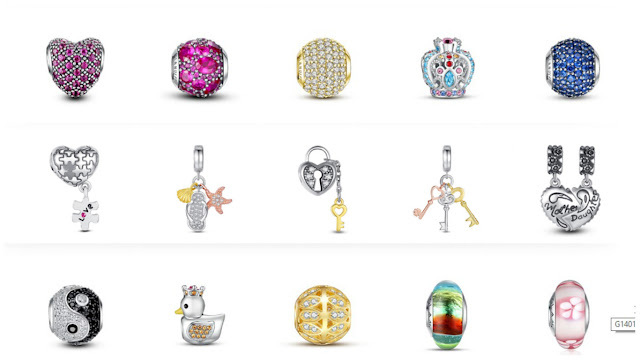 The charms are designed to depict mood, phase of life , event and personally. For Breast Cancer Pink October Glamulet decided donate 50 % if sales of every set of charms that are added to the card. Its completely a win win situation, you get yourself beautiful charms and also get a chance to be a part of the good causes that involves the health all us girls, Breast Cancer Awareness. 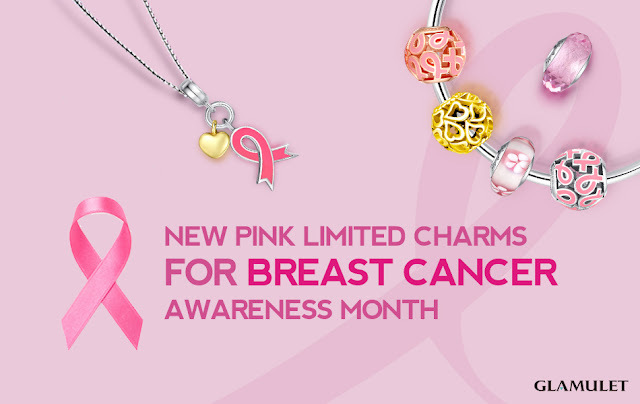 Head to Glamulet, get yourself a bracelet full of beautiful charms and Help spread awareness on Breast Cancer . Excellent initiative and very important. such an important cause to buy the bracelet ! p.s - great video !! This is very important cause! Great post. Such an important cause and its great there is a month devoted to raising awareness for it. Great post Pooja, so important!